The first face to face meeting with Charlie was arranged when calling for an appointment to visit the Cellar Door of God’sHill Wines. Charlie asked where I was calling from and discovering they were only a couple miles apart. He invited me to his house probably to see if I was a wanker (is, but given a break). It was a fortuitous meeting. 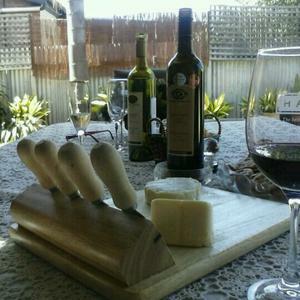 Over a glass or two of Charlies 2004 Menzel Shiraz, some bread, cheese and Charlie’s olive oil the two of them bonded. Charlie explained his style of wine making is a continuation of a tradition which has been practiced since Roman times in the Campania region of Central Italy. He also explained that God’s Hill vineyard is set in the wine region of Lyndoch at the southern end of the Barossa Valley that the original inhabitants called Poonawatta, which means my fertile land. After establishing God's Hill Vineyard with his family, Charlie Scalzi's love and passion for fine wine moved him to create the God's Hill Wines label. God's Hill Wines are made from a careful selection of what Charlie believes are the best of the best premium grapes from the God's Hill vineyards which are tended by the vigneron Felice Scalzi, Charlie's son. What is not taken by Charlie is then sold. Charlie's grandfather (Carmine) along with his farming activities also grew grapes and produced wine for the local community. This was the beginning of Charlie's involvement in the wine industry. Recalling a time when at age 6 his grandfather asking him to wash his feet thoroughly so that he could place him in the large wooden vats of grapes to crush with his feet. This continued until the age of 11 when he migrated with his parents to Adelaide where his father (Felice) continued traditional wine making in his home cellar and Charlie would continue to assist with hand picking grapes, crushing and making wine (Charlie lost his father in 1996). Charlie recalls that the very first lesson, he learned from his Grandfather, of wine making is ensuring that hygienic procedures are used. This he believes is the highest priority next to using the best grapes. Combine these two with their philosophy of allowing the grapes to guide the wine (never impose your will upon it) and you have the foundation, upon which God’s Hill Wine is made. God's Hill vineyard consists of Shiraz, Cabernet Sauvignon, Merlot and Chardonnay vines. Charlie's first vintage was introduced in 2001 only producing 2 barrels for family and friends. As this was so successful they released their 2002 vintage to the public. Over time, they have increased their vineyard to 30 acres and their production is up as well. 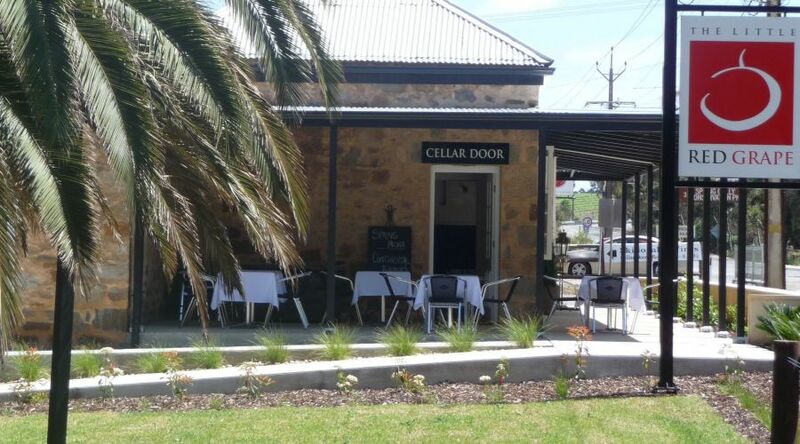 The Cellar door is located at the Lyndoch property in an old worker shed, where by appointment you can taste the limited production handmade wines. Perhaps you can talk Charlie into sharing his olive oil, enjoy the fantastic view and hear the story of God’s Hill and capture the vision of things to come. Standing on the hill with Charlie and Felice sharing some of their bloody amazing ‘SoulMate’, looking over the vineyards and talking about their passion it’s impossible not to get a sense of the great things that are happening here and that the best is yet to come. Koala even shared a bottle of the 2008 Menzel Shiraz and the 2011 III Rows Unwooded Chardonnay with his brother and Sister in law to get their reaction. The response was all positive, with his brother wanting to know how to get more. Koala highly ‘recommends’ you give Charlie a call and set up a day to visit God’s Hill and make sure you tell him Koala sent you. 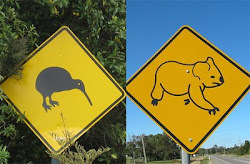 2nd annual Kiwi & Koala Dining Extravaganza! Ok, so it was a pre-Christmas get together, not so much an extravaganza. Where to go this year? With a K & K trip to Italy pending, with lots of choices what better place to choose than Il Vecchio, the new Italian kid on the block in Pacific Grove. Kiwi was glad they had booked ahead because the place was bustling on a Friday evening. We eyed the wine bar as we were escorted to our table. Our significant others warned us about stopping with the look! The decor is shabby chic with lots of distressed paint on antique looking windows and panels. Very cosy. The wait staff was fun, friendly and helpful, which was a good thing as Kiwi is hopeless at choosing from Italian menus. Zuppa, insalate, contorni...it's like a whole foreign language! 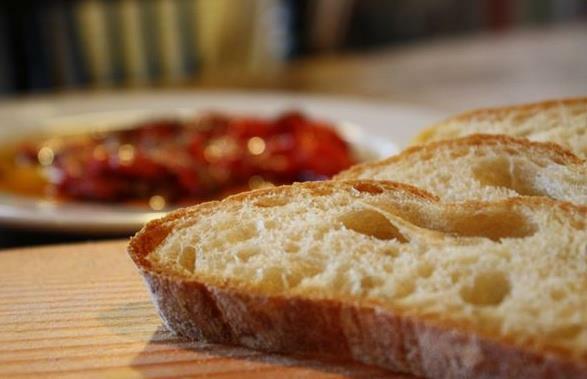 But wait, let's start at the beginning...we were enticed with fresh bread to dip in EVOO and balsamic vinegar with fresh roasted bell peppers. We asked for red wine recommendations and were pleased to be able to sample before we bought. What a great idea! Koala preferred the Cab blend, and Kiwi the Chianti. Luckily there would be time for both, so the lighter 2009 Chianti Classico first, followed soon by the 2009 Montecucco Russo Montesalario from Tuscany. The group began with Zuppa where Kiwi and Koala enjoyed the special of the day - mushroom soup, the significant others enjoyed the vegan soup ( to make room for a steak) and a salad. Delish! For Mains, sorry, that's Primi Piatti, we selected polenta con ragu, ragu d'agnello con pappardelle (lamb and wide noodles), and angus filet mignon. All choices were excellent and went well with the wine and lively conversation. Desserts of lemon tart and bread pudding where enjoyed in large portions, and with half a bottle of wine still left we had no time for coffees! No matter, as a fine gentleman approached with a deliciously smelling tea kettle full of mulled wine. He carefully placed the steaming kettle on Koala's brand new iPhone5 and told us about the wines and spices involved. A nice way to end a very pleasant dining experience. And yes, the phone survived! Kiwi and Koala give Il Vecchio a hearty "Recommend". Let em know you heard about them hear. 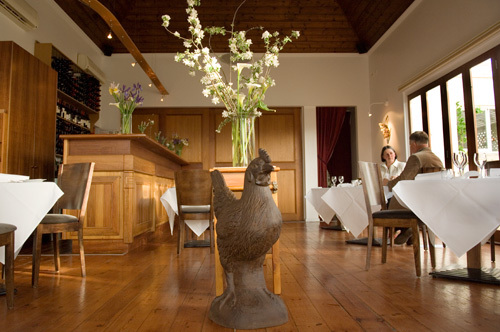 Pipers of Penola wins ‘Best Regional Restaurant of South Australia 2011’ at the Restaurant & Catering SA Awards for Excellence 2011. 2011, 2010, 2009, 2007 Award for Excellence for the Best Regional Restaurant -Restaurant & Catering SA. Award of Excellence - Limestone Coast Tourism - July 2008. Best Regional Restaurant - Adelaide Food Awards - November 2007. That’s a fairly impressive list of awards and probably not undeserved. Koala and his lovely lady had a nice dinner experience and the food by Chef Simon was delicious and the table service from Erika was on the money. For a fancy dinner date while in Penola or the Coonawara area, Koala give’s Pipers of Penola a “Recommend”. So go check it out. It’s that time of year when we all feel the eternal tug over who we'll spend Christmas with. Your parents or your in-laws? Your divorced father or your mother? What if your kids decide to go to see your ex-husband and his new trophy wife, proving once and for all that they've abandoned you? Do you take the new boyfriend to the family gathering? Or, and this is true for a growing number of people, what if you have no one you really want to spend Christmas with? I only mention this because, if you believe the Cool Aid drinking cults, on Friday we will all be dead. The Mayan apocalypse is almost upon us and according to them, a rogue planet is on course to smash Earth to smithereens wiping out the human race in one violent hit. So don't stress it. Just pull the cork on the good stuff and enjoy your last days of existence. Oh and about Baileys, just because it’s Christmas does not make it all right to drink a mixture of whiskey and cream, does it! Ladies, men are rubbish at shopping. If you can, find a way to deal with this by Christmas Eve, the unmentionable underwear you unwrap in front of your parents and Grandma on Christmas morning won’t be quite so upsetting. For all you dopey blokes out there, women do not want any of the ­following as gifts: WD40, an outboard engine, petrol for the car, a fitness DVD, an electric toothbrush, any book with a title such as 1,000 Recipes For The Freezer, kitchen or cleaning appliances or anything from the Pyrex range. Just saying, one day it will bite you. Ladies, look upon terrible man-gifts as an opportunity to go shopping for what you actually want and don’t let this form the basis for a bad day with your partner. It’s also OK to buy the cheap boxes of biscuits for visiting relatives. We know, random thought. At the family gathering Uncle Max will probably get drunk and insulting and might, well, get creepy or Grandma will be annoying, but it’s going to be a whole 364 days until you’re forced to see them again. So smile sweetly while removing Uncle Max’s hand from your bum, resist cheerily saying ‘You’re still alive then?’ to Grandma and simply pour yourself another glass of wine in the kitchen then hide there - until they leave. A good ruse is to be the one who befriends the aged relative. When in doubt, sit on the sofa and nod as you sip your wine. If you have done nothing yet about Christmas and are in denial, have a magnum of (insert wine of choice). You’ll be amazed by how little you care. Here’s to surviving the Apocalypse, and, well, Christmas too. PS. 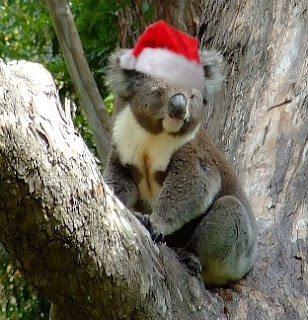 sorry for the disjointed diatribe but we have been planning the 2nd annual Kiwi and Koala luncheon. Stressful stuff.... and yes we have been drinking! When travelling to distant lands (sounds so interesting) there is often the need for accommodation. 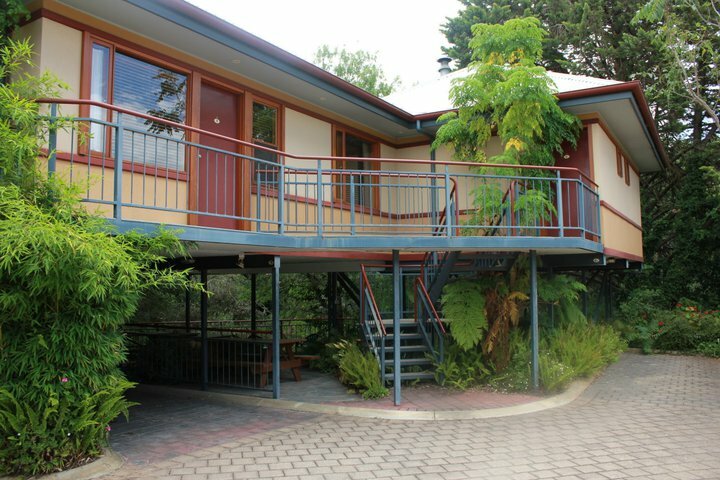 On a recent trip to the wonderful Clare Valley as luck would have it the Chaff Mill Village Apartments were randomly selected. Ok, so Koala’s brother had recommended them (brothers don’t get praise). Located at the northern end of the Township of Clare, and close to a number of places to eat as well as places to shop if that’s your style. It’s also within easy walking distance to a couple of pubs for lunch, tea (dinner) or drinks. The Chaff Mill Village consists of 6 luxury 4-star serviced apartments. Their words not ours but Koala does not disagree enough to argue. They are very nice. The design of the apartments wrap around the existing mature pepper trees, the apartments are cantilevered over the banks of the River Hutt, nestled amongst the treetops, they provide reasonable privacy. Each apartment has its own private balcony, separate bedroom(s), extra large bathroom with spa pool, and living area with full kitchen, equipped with all modern conveniences. A nicely appointed and comfortable room suitable for two couples that is well located and reasonably priced. Koala gives it a ‘recommend’ for your stay in the must go to Claire Valley. A visit to the Clare Valley in South Australia would not be complete without a visit to Skillogalee. The location is a little off the beaten track and that is part of the magic. As you drive down the narrow winding road through the bush the vineyards appear, then the B&B, and then you see the Cellar Door and restaurant. 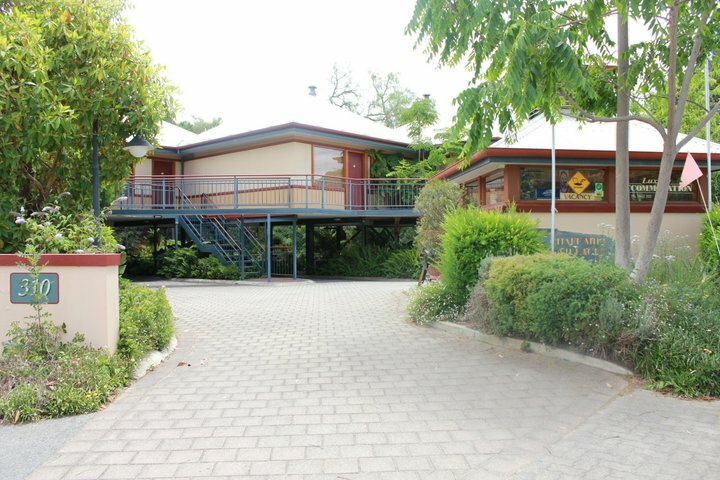 The winery of Skillogalee was established in 1970 with the first wines released in 1976. In 1978 their dry Riesling won major trophies at the Adelaide Wine Show and the National Wine Show, putting Skillogalee firmly on the Australian winemaking map! The wines are produced exclusively from grapes grown on their own vineyards and their styles include crisp dry whites (Riesling, Gewürztraminer and Chardonnay), a full flavored rosé, rich, medium to full-bodied reds (Shiraz, Cabernet Sauvignon and blends) and some luscious fortified wines. Aside from some great wine there is a very nice restaurant and if you believe the people that eat there the food is great. One can only assume that if they keep coming back. Unfortunately Koala did not have time to dine but the smells from the kitchen were amazing (next time Nicola). Skillogalee also has accommodations for those who wish ranging from the very upscale homestead style Skillogalee House, to the almost as cool, Owl and Wren Cottages. The two cottages are set up on the hill overlooking Skillogalee where the wildlife are your neighbors. While not staying there this trip Koala did take a long look at each place and has them on the list for places to stay next time (yes they look that good). 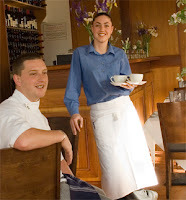 Maybe a wine dinner event for some employee’s of the month from the area at Skillogalee House. Just a thought. While the tasting area at Skillogalee is small it is very comfortable and makes for a very intimate tasting. For larger groups arrangements can be made. Nicola came out of the kitchen to welcome Koala and his brother and to put us in the good hands of the cellar door attendant. Koala’s tasting was taken care of by this lovely lady (embarrassed about forgetting name) who was charming and well versed in the great wines being poured. Koala had a very nice tasting of some very good wines all at very reasonable prices and one not to miss. The best way to appreciate Skillogalee would be to book a lunch for a couple or two, go an hour early and taste the wines, select a couple bottles for lunch (get a couple bottles to take as well) and enjoy this beautiful place in this beautiful location. Koala gives it a ‘recommend’ for your wine, and should you have the need, to stay and eat in the wonderful Claire Valley. Happy tasting, relaxing stays and Bon Appétit! Having landed in Adelaide South Australia from San Francisco on a Monday afternoon there was no rest for Koala. Tuesday morning with Koala’s brother at the wheel it was off to the beautiful Clare Valley to run amuck for a couple of days. Clare Valley is one of those wonderful places that you just can’t get enough of. Having stayed there a number of times over the years this visit had a higher purpose, spreading the word to the world about this wonderful area (heady stuff). As we drove, the discussion was mostly about where to go, as the great choices in Clare Valley are endless but the time wasn’t. First order of business was something to eat and so the first bakery they came across as they came into the area was at Sevenhill called The Little Red Grape. 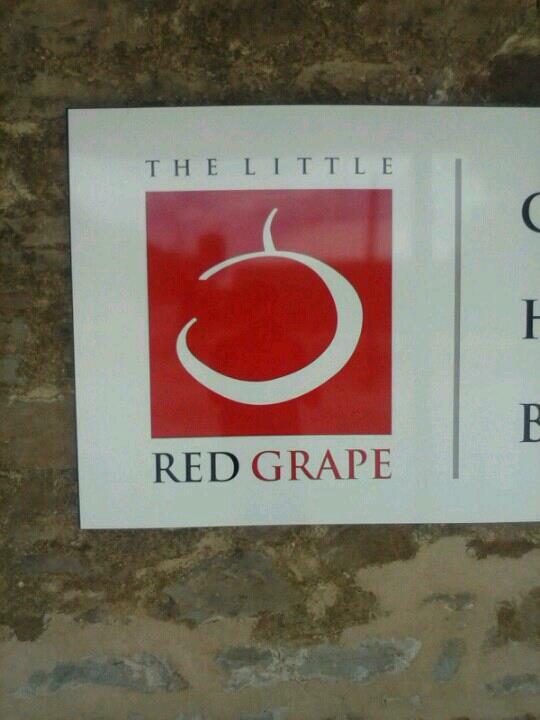 As they were stuffing the fresh Pasty’s with sauce down their gobs they noticed that on the other side of the building was a cellar door also called The LittleRed Grape. Well they were already there so why not. As they entered The Little Red Grape tasting room they were welcomed by Kaylah. This young lady managed to keep Koala and his brother on task and informed of the wines being tasted amongst all the verbal brotherly love being dished out in a continuous flow (did not intend for Kaylah to be the one blushing). All the wines tasted were good and a couple bottles were purchased. 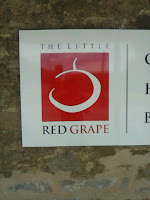 The Little Red Grape is a lovely place to taste a bunch of wines from various small wine producers from the Clare area that don’t have their own cellar door. It’s a great stop to get a taste of a some food that can’t be had just anywhere like a meat pie, pasty, sausage roll, Kransky or a slew of other yummy treats. There is also a homewares section to the facility. A nice place to cover a couple (at least) of bases and start off a weekend in the Claire Valley. Koala gives it a ‘would go back’ and when there say g’day to Kaylah from Koala (the well spoken one) and his brother (trash talker). Wine Tasting Basics / Do It! What is the difference is between drinking and tasting? Why do people swirl, sniff, and sip and some wankers even spit? What are those bloody ponces looking for? Don’t worry; when it comes to learning about wine tasting, you’ve come to the right place. Well at least this place. The main difference between tasting and drinking wine is that tasting is active and engaging, while drinking is more passive. This doesn’t mean, however, that tasting needs to be stiff or formal. The only reason you’re doing it actively is for your sensory memory, which is actually something you regularly do. For example, think of a food you really love and one you don’t. The reason you can instantaneously think of those two things without them in front of you is because of sensory memory. With wine, you are doing the same thing. By using the following process you are tasting to build a mental database of what you like, what you don’t like, and why. Tasting wine is more than simply taking a big swig and gulping it down. That’s drinking. 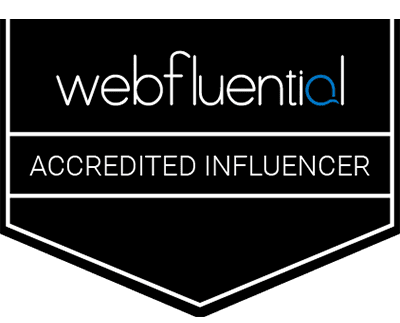 You can read all the magazines you want and look at hundreds of web site tasting notes to get a better idea of the subject, but at some point you’re going to have to step up and start tasting wine for yourself to find the wine’s you like to drink. There are basically four steps to wine tasting: sight/color, spin/smell, taste/finish and savor/assessment. The best way to observe the color of wine is to hold the glass of wine in front of a white background. The range of colors you may see depends, of course, on whether you are tasting a white or a red wine. Why is color important? Because as white wines age, they gain color, while as red wines age they lose color or brilliance. However, as with taste, there are personal preferences and observations. What is pale yellow-green to one person may be gold to another. Hold up your wine glass and inspect the color. 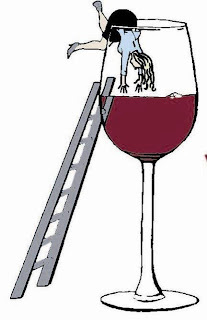 The best way to see the color of your wine is to look to the top edge of the wine. Beyond just being red or white, look to see what the depth of color and how opaque the wine may be. Reds can be purple, maroon, and many shades of red. Whites can be pale yellow, golden, and even amber. A darker or richer color can usually lend itself to a richer flavor. 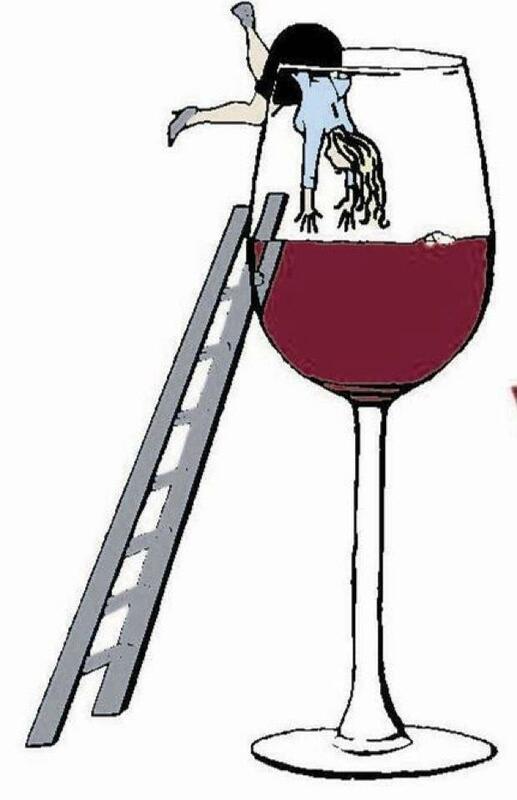 Lastly, tilt your wine glass and let the wine trickle back down. Observe the “legs” of the wine to see how fast it falls back down. Why do we swirl the wine? When we swirl our glass of wine we are vastly expanding its surface area and volatilizing some of its aromatic particles (we are stirring up the smells). This allows oxygen to mix with the wine, releasing the esters and aldehydes (we know, poncy word alert), which yield all the smells and bouquet. In other words, swirling aerates the wine and gives you a better smell. Another reason why one should swirl the wine is to give an additional look at the overall appearance. Look at the color and especially the "legs" that trickle down the inside of the glass once the swirling has stopped. It is sometimes felt that the more noticeable the legs, the fuller the body of the wine. Few legs or no legs at all, probably indicates a "thin" tasting wine. A slower trickle relates to the thickness or viscosity of the wine which is connected to the alcohol content. The spin and smell is the most important part of wine tasting. The average person can smell over 2,000 different scents, and wine has over 200 of its own. Now that you have swirled the wine and released the bouquet, you should smell the wine a number of times. The third smell usually gives you more information than the first smell did. What does the wine smell like? What kind of nose does it have? Ponce word alert! The "nose" is a word that wine tasters use to describe the bouquet and aroma of the wine. Pinpointing the nose of the wine helps you identify its characteristics. The problem here is, many people want someone else to tell them what they smell. Do I smell citrus, apricot or straw? What about black cherry, leather or tar? No one knows what you smell, only what they are smelling in their own glass. It can be different and the more you do it the more smell memories you will have. This is where the correct stemware comes into play. And you need to not be afraid to get your nose right in there. Cyrano, it should fit in a decent glass. Finally you get to taste the wine! For many people, tasting means, taking a gulp and swallowing immediately. This isn't tasting Koala! Watch Kiwi, he has the finesse in the duo. According to Kiwi. Tasting is something you do with your taste buds. Remember, you have taste buds all over your mouth. If you simply knock it back and throw it down your throat, you bypass all those important taste buds. As we mentioned in an earlier blog, you can only perceive four tastes: sweet, sour, bitter, and salt (but there is no salt in wine, so we are down to three). There is an accepted fifth taste and although there is no direct English translation, umami is essentially the fifth taste. "It's the taste of savoriness or meatiness," It is important to determine these sensations of taste. Bitterness in wine is usually created by and high tannin. Sweetness usually only occurs in wines that have some residual sugar left over after fermentation. Sour (sometimes called "tart") generally indicates the acidity in wine. The first impression that your taste buds will receive are the alcohol, tannins, acidity, and sugar. Ideally, these four components will be well balanced so that one does not over power the other, but instead come together. Soon after, your taste buds may note more flavors of the wine, this is called the mid-palate. Again, fruits, herbs or earthiness may arise here when you can really get a feel for the actual taste of the wine. One thing you can also do as part of your tasting is take a sip of wine and draw a bit of air into your mouth along with it. This further aerates the wine and helps bring out the flavors in your mouth. After swallowing you now have the finish. This is the impression the wine leaves you with after it has left your mouth? How long does the taste last? Or sometimes stated as what is the length of the finish of the wine. Usually the sign of a high-quality wine is a long, pleasing aftertaste. The taste of many of the great wines last anywhere up to a minute or more, with all of those components in harmony. So what do you recon? After you have had a chance to look at, swirl, sniff, and taste the wine, sit back for a few moments and savor it. Think about what you just experienced and review your impressions. Kiwi likes to hold it in his mouth and let it “soak in” for a while. How do you know if a wine is a good one or not? That’s a long story but if you enjoy it, it is a good one for you. Don't let others dictate your taste to you. Do you like it? Why? Why not? The tasting of wine should be fun, not intimidating or formal. Nobody has the right answer and nobody can tell you what tastes good to you except you!